Opinion: Facts are Stubborn Things | The Gettysburgian. Sexual assault is one of the scourges of the global social order. One out of every five women and one out of every 71 men will be sexually assaulted in their lifetimes; the statistics regarding children are even more gut-wrenching, with one out of four girls and one out of six boys sexually abused before reaching the age of 18. Whatever our opinions on politics or other matters, it is a near unanimous sentiment that sexual crimes are among the most heinous and unforgivable, and that those who commit them should be severely punished and ostracized by their fellow human beings. This is just and fair, and to deny this would be a slap in the face to the dignity of the human race and an insult to the legal and social traditions we have worked to build for centuries. Everyone who is a victim of sexual abuse is entitled to their day in court, to be heard and understood by society as victims. Justice is blind to all but pure fact, and swiftly deals out punishment in defense of righteous truth. However, with these facts being acknowledged, now we must ask ourselves a different question: what happens if someone who alleges sexual assault isn’t telling the truth? The reaction of many to this question will be immediate hostility, and perhaps rightfully so. “Why would a woman lie about being raped? What could she possibly gain from telling people she was taken advantage of?” These are perfectly valid and poignant questions to ask when considering all sexual assault allegations. However, we must beware that sometimes facts and details in these cases can become obscured by circumstances and emotion, and efforts should be made to uncover all the facts of the matter before coming to judgement. Such is the case of Judge Brett Kavanaugh, who was nominated by President Trump to fill the seat of retired Justice Anthony Kennedy on the Supreme Court of the United States. Recently, rumors surfaced that someone had accused Judge Kavanaugh of sexually assaulting them in high school, drunkenly forcing himself upon them during a party. The accuser was later learned to be Dr. Christine Ford, who alleged in a letter sent to Judiciary Committee Ranking Member Dianne Feinstein months ago that a 17 year old Kavanaugh and classmate Mark Judge had forced her into a room, locked the door, and piled on top of her, subsequently removing themselves which provided her with an opportunity to escape the room. This allegation by Ford has led to a tempest of shouts from both sides calling for all manner of actions, with some Democratic senators calling for the withdrawal of Kavanaugh’s nomination to the High Court and many Republicans accusing Senator Feinstein and her colleagues of a partisan character assassination. After cancelling a final Judiciary Committee vote on Judge Kavanaugh’s nomination that had been scheduled for September 20th, Chairman Chuck Grassley saw fit to hold a hearing on the matter on September 24th. Ms. Ford was offered the opportunity to appear and plead her case before the committee, with her lawyer soon sending word that she would not be willing to do so. Furthermore, she demanded an FBI investigation into her accusation before she would give any testimony before the committee, raising eyebrows among the Republican members of the Senate. The FBI soon responded that since the accusations leveled against Judge Kavanaugh would not constitute a federal crime, and since the accuser provided nothing but circumstantial evidence, they would only be able to investigate the matter under direct orders from the White House. Ms. Ford has also mentioned that there are no witnesses to corroborate her allegations but Mark Judge, the aforementioned classmate of Judge Kavanaugh, who has denied the claims from the start. 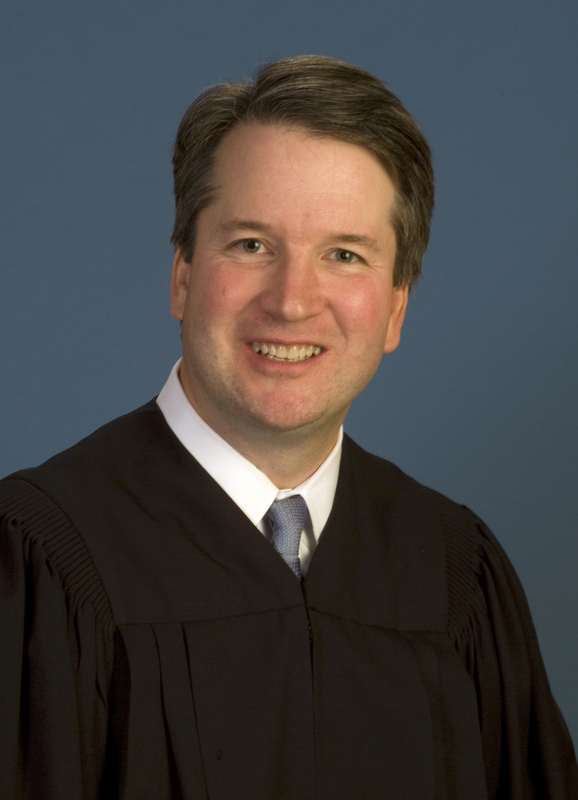 Judge Kavanaugh, it should be mentioned, has also denied the occurrence of the events Ms. Ford describes, stating that he is willing to testify before the Judiciary Committee at any time to defend himself. When all the current knowledge of the case is taken into account, it boils down to a textbook case of he said, she said. With no evidence and only murky testimony from the involved parties, it may be an option in other cases to throw our hands up and conclude that nothing can be done. With a nomination to the Supreme Court hanging in the balance, however, there is no room for inaction. On one hand, it would be a slap in the face of all sexual assault victims to simply ignore Ford’s claims and proceed with the confirmation. On the other, it would make a mockery of the entire U.S. governmental system if a qualified and experienced jurist was denied a seat on the High Court due to one uncorroborated, unproven allegation. Now the members of the Senate Judiciary Committee must ask themselves: what can be done about this? Ms. Ford must have her proverbial day in court, and her claims must be treated with the care that any others would. However, like any other accused person in the United States, should Brett Kavanaugh not be entitled to his day in court as well? As someone who has dedicated his entire life to the careful application of the law, it would be disrespectful to deprive Judge Kavanaugh of the opportunity to plead his own case. As a man whose character has been commended by countless clerks, colleagues, and friends, it is completely illogical to assert that his nomination should be rescinded and his name tossed onto the ash heap of history so readily. The committee has now provided both with an opportunity to tell their side of the story. It would be a shame if this hearing was not utilized by each side in order to shed light on the truth, and some have the expectation that it will simply be yet another opportunity for partisan grandstanding and battles in the culture war. However, such a hearing is truly an opportunity to get to the bottom of the allegations, and to ask questions regarding the manner in which they were discovered. For instance, Republican senators could ask a pertinent question to the Democratic members: why wait? This allegation had been made known to the office of Senator Feinstein months prior to Judge Kavanaugh’s original hearings, so why wait until mere days before the final committee vote to release them? If they had been made public when received, Ms. Ford’s case would likely be far stronger, with less of a tinge of pure political gamesmanship. If Ms. Ford does not seize the opportunity to state her case and the Democratic members of the Senate cannot answer for their mishandling of these allegations, the case against Kavanaugh will remain unproven and unsubstantiated. If more testimony and evidence is obtained to buttress Ms. Ford’s claims, there is no doubt that Judge Kavanaugh’s fitness for service should have doubt cast upon it. Either way, the Senate Judiciary committee has an interesting week ahead. Chris Condon '19 is a Political Science major and an Art History minor, focusing on the Supreme Court, civil liberties, and American political history. He is the founder of and served as the president of Gettysburg College Young Americans for Liberty, and is a member of Pre-Law club. Originally from Long Island, Chris enjoys visiting art museums, eating pizza and bagels, and enjoying the great outdoors in his spare time. Chris: Take a course on feminism, and please don’t write any other articles about this subject until you understand it. And may God spare your future wife. Thank you for your thoughtful comment. I am sure my future spouse will appreciate my commitment to objective truth and will have at least a tenuous grasp on American legal principles. After all, justice is blind to gender. Sorry Jay, I think I missed the punchline. Do you not think women are equal under law? Also, don’t you have some homework to do? I just want you to think about why a person would go through the trouble of accusing Kavanaugh of assault and being exposed to public scrutiny and outrage themselves if they were lying.